First Kits Set Debut This Month! Anaheim, CA – Bluefin, the leading North American distributor of toys, collectibles, and hobby merchandise from Japan, Hong Kong and more, expands its relationship with Bandai Hobby to include distribution of Bandai’s line of Star Wars Scale Vehicle Models. Bandai Hobby is renowned for its high-quality model kits that blend complex detail and innovative construction that fans of all skill levels will enjoy. 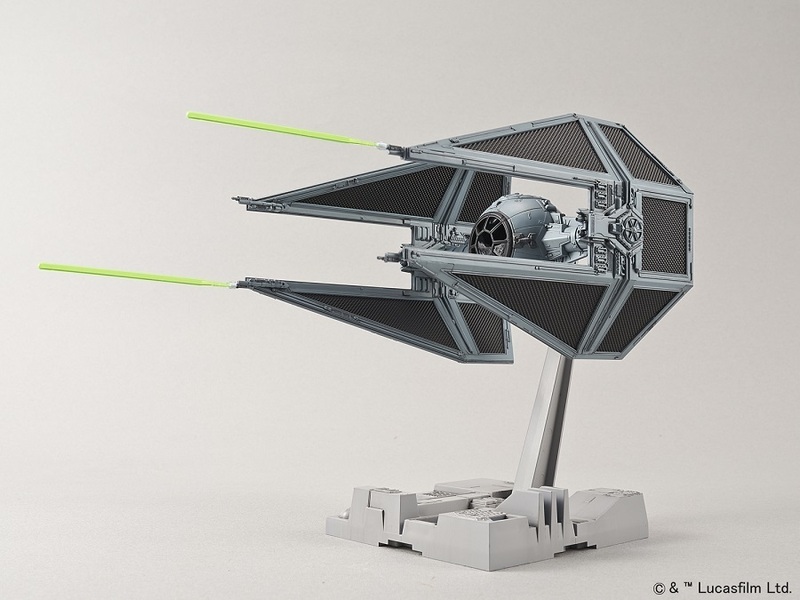 Manufactured in Japan, the Star Wars Scale Vehicle Model kit line includes notable crafts and space ships from the earlier classic Star Wars films as well as from Star Wars: The Force Awakens and the latest Rogue One: A Star Wars Story release. Originally available only for the Asian market, these official U.S. releases will include English instructions and will also have product support from Bluefin. Bluefin will launch the Bandai Hobby Star Wars model line in early December with the 1/72 and 1/144 scale Red Squadron X-Wing Starfighter Special Set, which features the star fighter depicted in Rogue One: A Star Wars Story. The kit will be initially available from Amazon.com in time for the film’s North American wide release in December. Subsequent 1/72 scale kits for the Tie Interceptor, A-Wing Starfighter, and Poe’s X-Wing Fighter will follow in January and will be available at Barnes & Noble stores nationwide, followed by full distribution across the U.S. to hobby and independent store channels. The remaining Scale Vehicle model kits in the Bandai Hobby Star Wars line are planned for release by Bluefin to additional online and physical retailers throughout 2017. Bluefin also plans to release new future Bandai Hobby Star Wars Scale Vehicle model kits simultaneously as the kits debut in Asia.